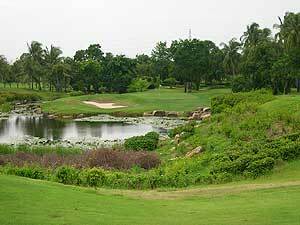 Fairways and greens are kept in reasonably good condition. 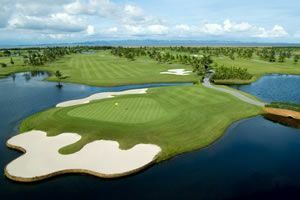 Utilizing water hazards, doglegs and four island greens to good effect, the relatively short 18-hole course is well suited for golfers of all levels. Greens are fast and generally have large undulations - reading the correct line is especially important. 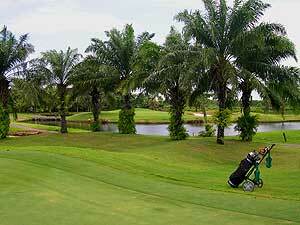 The narrow palm tree lined fairways make it a challenge to recover from errant tee shots. 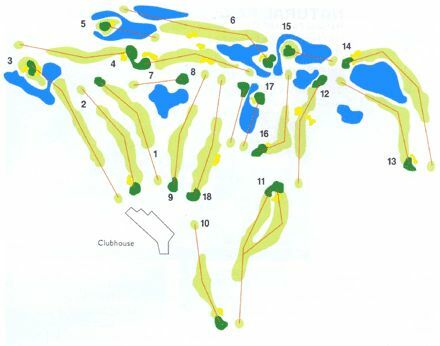 Adding to the difficulty is also the relative long distance between the tees and the fairways. Shorter tee shots often wind up in the difficult to hit out of semi rough. Both the 6th and 14th holes are challenging par-5’s. The two doglegs have greens tucked behind huge water hazards. Careful approach shots are required to avoid a watery penalty. 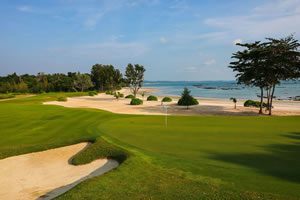 The clubhouse has a decent Thai restaurant serving a wide variety of dishes at reasonable prices and a there is a pro shop in the lobby and ample changing rooms for visitors. 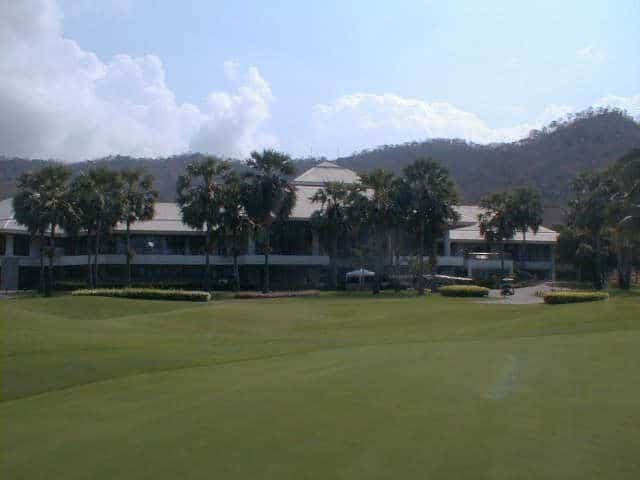 Have you played golf at the Mountain Shadow Golf Club and took some nice photos that you would like to share with other golfers? Send them to us and we may upload them here. Thank you in advance! No drive range, but nice Course! I booked to play this course before leaving England. The day before I was due to play my tour company were contacted and advised that my tee time had been revised due to a competitionso I colud tee off before them. On my arrival I was met by an extremely rude and aggressive ENGLISH man who pointed at me, told me the course was closed and I could not play. I played 9 holes in 1 hour and then was told i would have to wait at least 1 hour to play from the 10th tee. I was then taken to another course to play my last 9 holes. Very unsatisfactory. The 9 holes I played were lovely but I do not need to be spoken to inj this way by some ignorant English a**e. I payed to play 18 holes and should have been allowed to do so. If you book this course enquire if thay have a competition. If they don't yoy will be spared meet the English a**e who clearly thinks he owns this golf course. I would like him to try and speak to me like that in England.